MakeShift is a complete solution for building more effective schedules, accurately tracking time and attendance, and communicating better with your staff. The result is fewer unfilled shifts, better work/life balance and a healthier bottom line. Our online employee scheduling software balances valuable tools with practical design. It’s more than just staff scheduling software; it’s a complete HR and time and attendance software solution with advanced online employee management features designed in a way that puts people first. Our mobile and web applications for managers and employees provide a seamless experience. MakeShift’s online employee schedule software ensures managers and employees are all working with the same information. 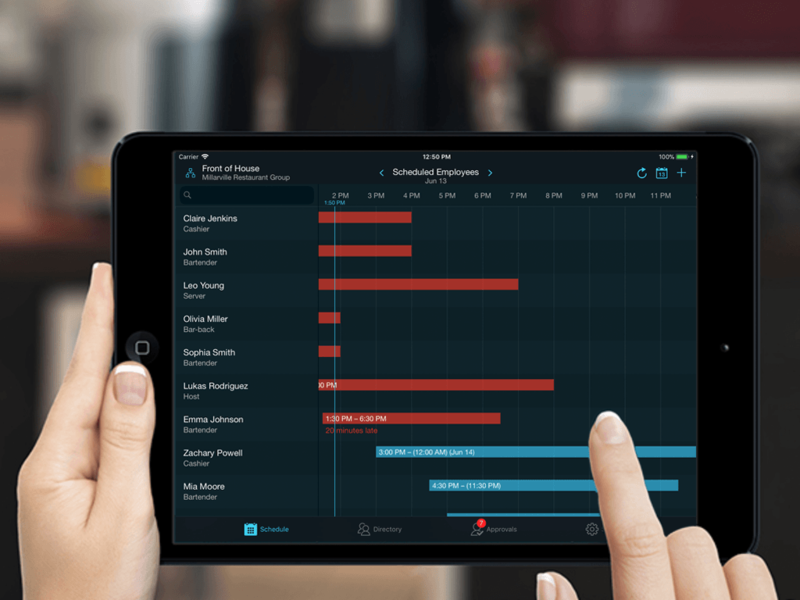 The online scheduling software and mobile app automatically update scheduled shifts, availability and other information in real time. Plus, you can set custom notifications so you’ll know as soon as anything changes. With MakeShift you can quickly sync work schedules with Apple, Google and other calendars, or share it with family members. If administrators need to quickly send a note to their staff, they can send an Announcement, instantly alerting the staff they need to get in touch with. MakeShift goes beyond typical staff scheduling software—it’s a complete HR software solution for managing your staff. 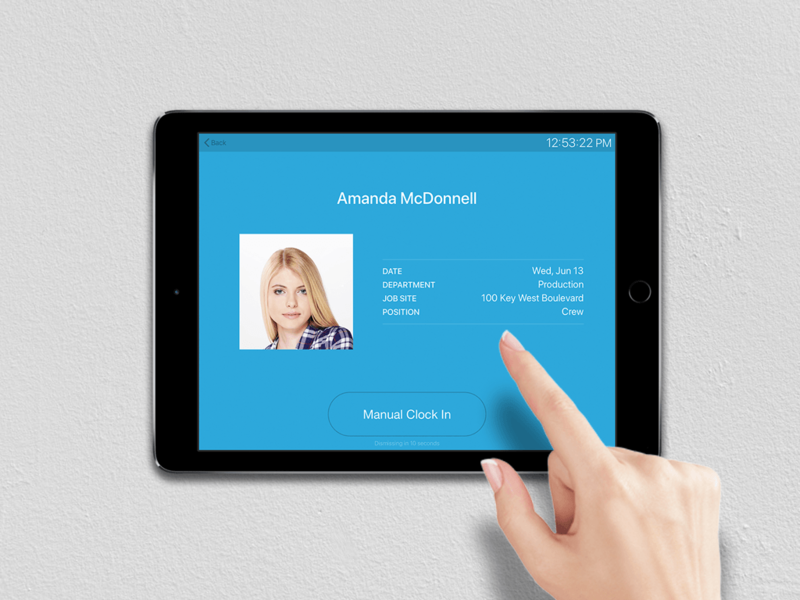 Employees can clock in and out from their phones (or a dedicated on-site device), generating accurate timesheets automatically. MakeShift also supports payroll data export to Excel, and several popular payroll providers. Additionally, by assigning a geofence to a Department or Job Site, employees can only clock in for a shift when they are within the geofence bounds. Create a more effective employee schedule for your company, using accurate and relevant information including projected budgets, employee availability and an optimal schedule template. Our online employee scheduling software is the fastest and easiest way to make sure you have the right people in the right place at the right time. For managers on the move, our MakeShift Live mobile application for iOS and Android allows for real-time updates on who is working, who is late, etc. Administrators can send out an available shift from the, enter kiosk mode so employees can clock in and out from a tablet, or approve/decline shift exchanges and time off requests. 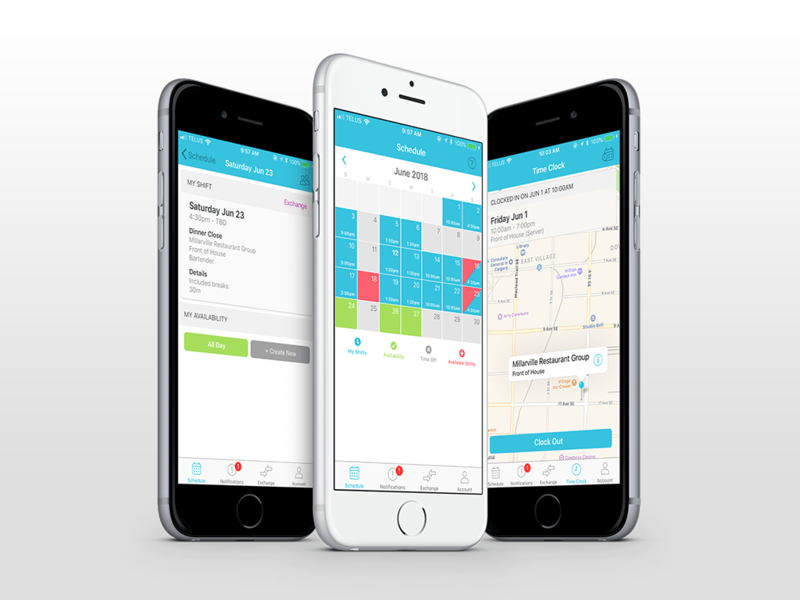 MakeShift allows companies to fill shifts faster with its advanced callout features, notifying employees in real-time when a shift is available to pick up. Administrators can determine how many employees are required for all available shifts, and are notified when they are about to over-schedule. To ensure the best person for the job is working, requirements can be set for an available shift, such as skills and positions, only notifying employees who meet all requirements. Administrators can assign the shift to employees based on who is most senior, who is available or most qualified. Additionally, employees without a smart phone can receive notifications for available shifts by SMS, phone calls or email, ensuring equal opportunity for work. This integration syncs users from BambooHR to MakeShift, pulling in their name, email, employee ID, phone number and hire date. When a new employee is entered in BambooHR, they are available for import in MakeShift. Administrators have full control over which users are imported in MakeShift. Once imported, MakeShift will ensure the above fields are always in sync. All changes made in BambooHR are automatically synced in MakeShift, ensuring that administrators don't need to waste their time on administrative tasks, such as re-entering information.